Ticket Division now integrates Google Analytics® to provide data on traffic to ticket pages and help event organizers improve their marketing campaigns. Google Analytics is a web analytics service that tracks and reports website traffic. The service collects anonymous data on visitors of pages where the script is implemented. By default, Analytics is enabled on every ticket page of Ticket Division, and offered for free to all event organizers. Analytics is made available for an event as soon as a ticket has been sold. The idea is to provide event organizers and promoters with detailed information regarding users who are interested in buying their tickets, or who already have bought tickets to their events. Empirically, the average attendee is not always the average ticket buyer and with such knowledge, marketers can then fine-tune promotional campaigns and target a qualified audience to increase sales. For example, tickets to a family-friendly event may be mainly purchased by mothers while the entire family attends. By knowing who purchases tickets to such event, the event organizer may decide to target women on social media. 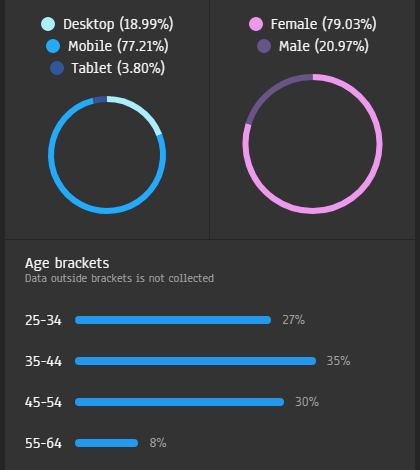 Analytics is available directly from your event dashboard. 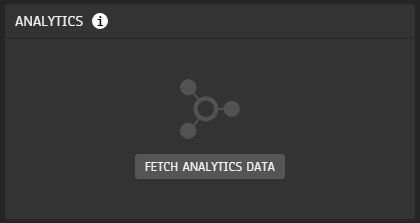 Scroll to the Analytics module and click "Fetch Analytics data", made available to you after your first sale. Please note that your request may take up to a few minutes as Analytics computes parameters and data collected. Once the data is received from Google Analytics' servers, statistics will automatically be displayed on your dashboard.